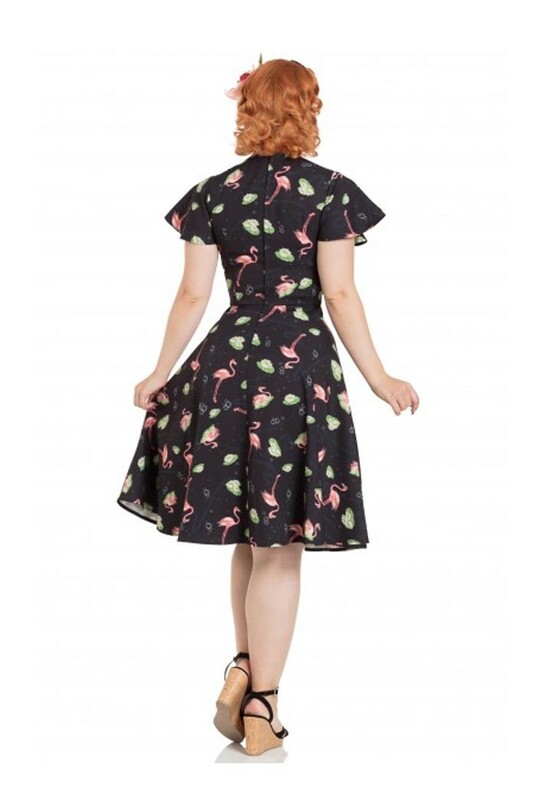 Stand out from the crowd in this flaming Flamingo Print Tea Dress! A prefect combination of kooky conversational print, wearable colour palate and super flattering 1940s style, this black vintage tea dress is a charming, classy way to nail occasion dressing this season. The clever detailing, like that necktie and those fluted sleeves, gives an elegance to this printed rockabilly dress allowing you to wear it to a wedding or night out whilst those lily pads and bubbles keep things on the right side of kitch.